Plan #78847, Comodo Wildcard SSL, £ 99.99/yr. See also original Comodo Wildcard SSL plan location on their website! Domain Validated SSLs and Wildcard SSLs are applied within 2 days, while Extended Validation certificates take longer due to the validation process. Websites secured with an SSL certificate are favored by Google and consistently rank higher in search results. Having an SSL Certificate will not only protect your visitors, but also help you find new ones. Your customers are much more likely to trust you if they see that your website is fully secured with an SSL Certificate – which can help improve your sales. 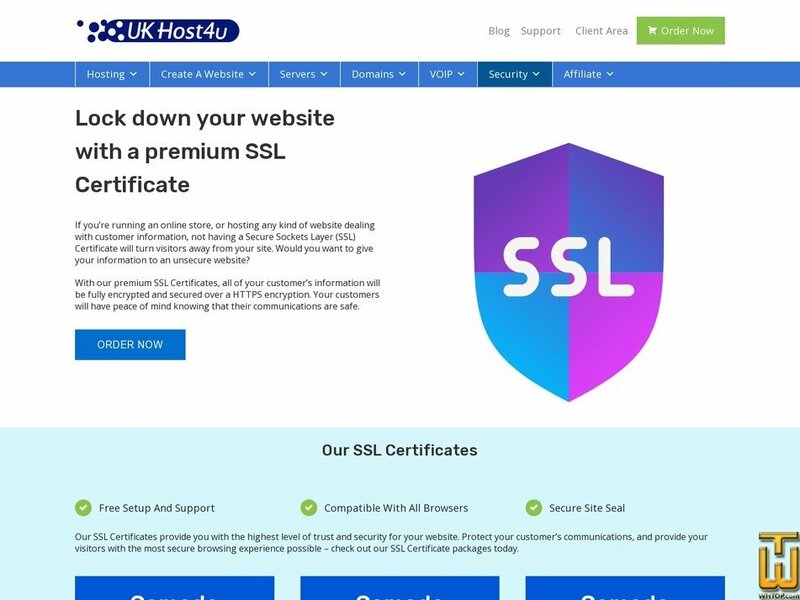 SSL Certificates provide an extra layer of security to your website by encypting all visitor communications with your website over a HTTPS connection. An SSL Certificate fully protects your online website’s communications, by securely encrypting all customer information such as credit card information. With our SSL Certificates you’ll be up and running in no time at all, with free installation included – let our technical team take care of the work so you don’t have to. Our SSL Certificates provide you with the highest level of trust and security for your website. Protect your customer’s communications, and provide your visitors with the most secure browsing experience possible – check out our SSL Certificate packages today.